Black makes an overplay in this corner pattern with . Next, White exchanges for . 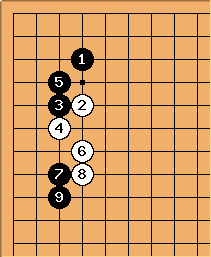 Where should White move now, making miai of two prospects and where are the next miai points a and b?